For the entire year 2016, IEG - Investment Banking Group has ranked among the Top 15 Financial Advisors in Germany (Top10 if the big auditors are excluded). It has been an interesting year with exciting transactions. To name a few, IEG has acted as exclusive financial advisor to Würth Elektronik eiSos Group during the acquisition process of Büchele in January 2016, to payleven during the merger with SumUp in April 2016 and to an investor consortium, led by Herder, lobelia, MB beteiligung and Upendo, during the acquisition of Thalia in late August. By closing 4 deals successfully in the third quarter of 2016, IEG ranks once again among the Top 10 financial advisors in both mid-cap (up to USD 500m) and small-cap (up to USD 50m) in Germany. These rankings are published quarterly by Thomson Reuters/ Freeman Consulting. The first half of 2016 proved extremely successful for the IEG Investment Banking Group. With eight successfully closed transactions, including the mergers between Auctionata and Paddle8 and Payleven and SumUp, IEG ranked third in the top field of financial advisors in Germany in the Small Cap (deals up to EUR 50M) sector; or in sixth position, if transaction services of auditors are included. IEG - Investment Banking Group got off to a good start in 2016. By successfully completing 4 deals, IEG - Investment Banking Group is ranked among the Top 5 Financial Advisors in Germany in the first quarter of 2016. Thomson Reuters Deals data allows to monitor deal flow, identify market trends and gain insight into the competitive positioning within any region, asset class or industry vertical with flexible levels of granularity. See the full IEG Deal Record here. 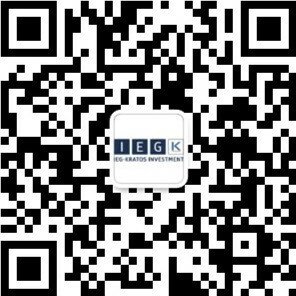 Also in the Mid-Cap Ranking, IEG - Investment Banking Group is listed among the Top 5 Advisors (deal volume: up to USD 500m) in Germany in the first quarter of 2016. The League Tables are published by Thomson Reuters and include rank eligible mergers, acquisitions, repurchases, spin-offs, self-tenders, minority stake purchases and debt restructurings.